Announcement for The Berry Schools to appear in forthcoming edition in WHO'S WHO IN AMERICA. 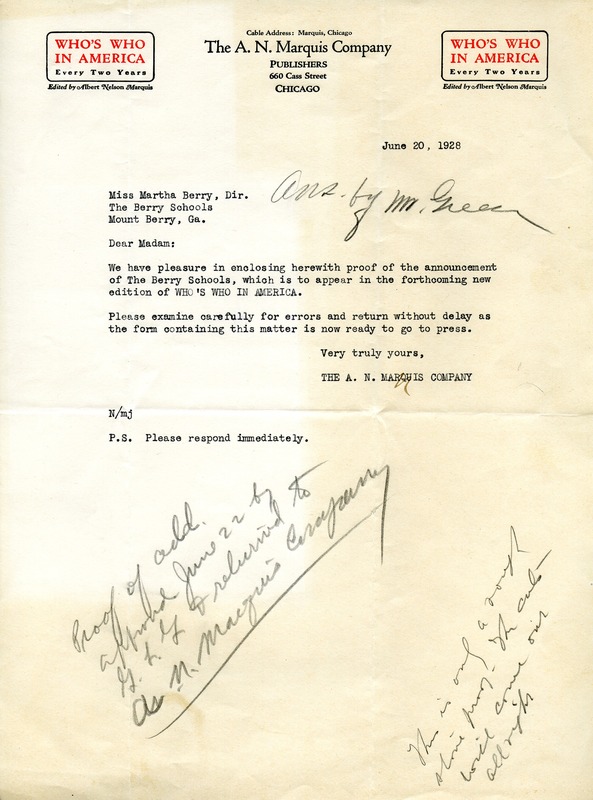 The A. N. Marquis Company, “Letter to Martha Berry from The A. N. Marquis Company.” Martha Berry Digital Archive. Eds. Schlitz, Stephanie A., Chelsea Risley, Bob Williams, et al. Mount Berry: Berry College, 2012. accessed April 24, 2019, https://mbda.berry.edu/items/show/8369.